This sweet little heirloom white bib has a top layer of scalloped batiste hand embroidered with yellow ducklings and red tulips. It is backed with a flannel faced cotton layer. Made in the 1950s, these "dribble bibs" were meant to protect baby's finer clothing. 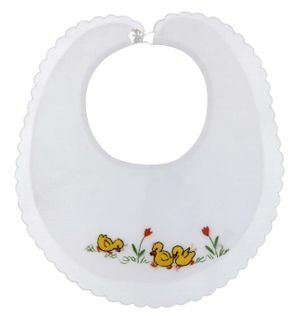 This bib closes with a tiny shell button and loop. This would be a lovely shower gift or Easter gift for a baby boy or girls or would look perfect as a nursery decoration. 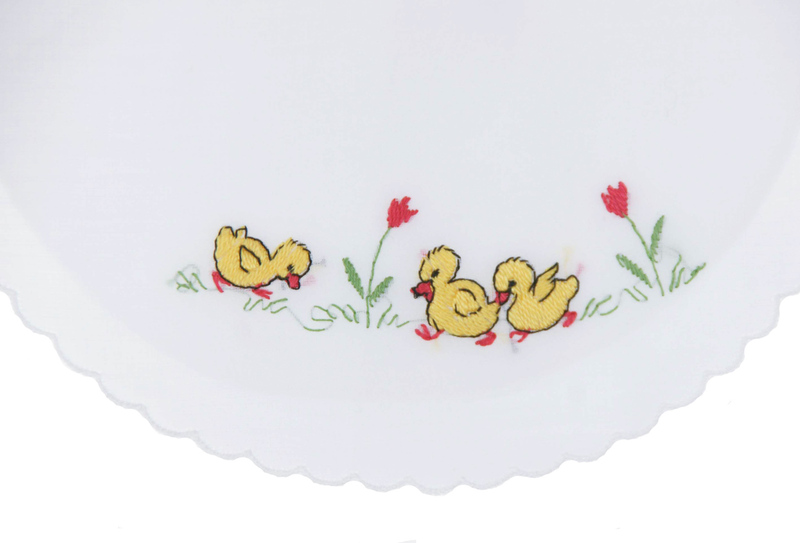 Grammie's Attic has the largest collection of baby bibs you'll find, including beautiful Madeira embroidered baby bibs, crocheted baby bibs, heirloom baby bibs, baby bibs, christening bibs, baptism bibs, and vintage Vogart embroidered baby bibs from the 1930s and 1940s. 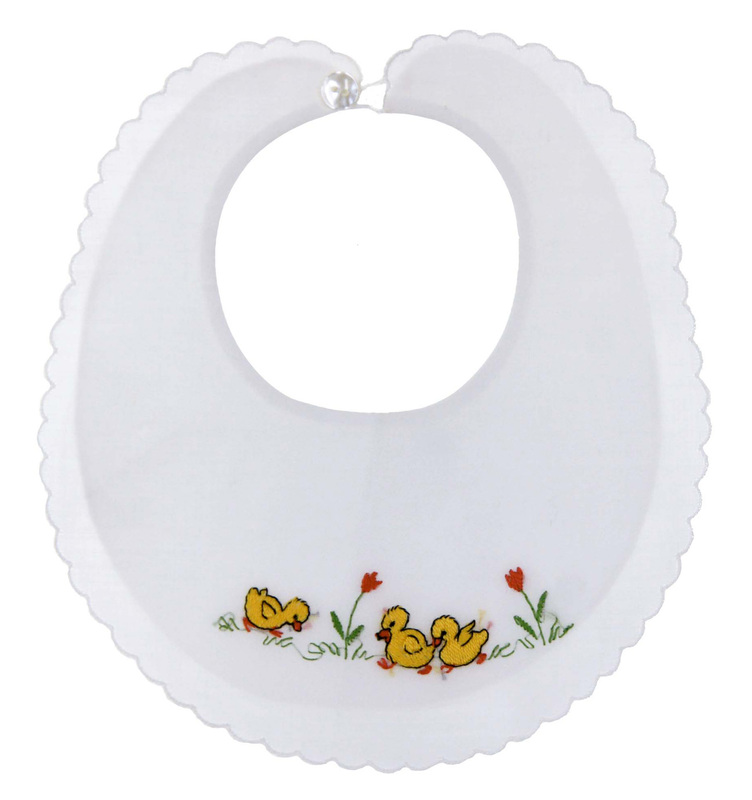 Be sure to see all of our adorable baby bibs!